Made of aluminium angle framework supported on wooden batons. Provided with fine wire mesh on sides. 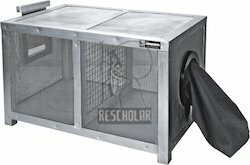 Wide wire mesh partition in the centre to facilitate mosquitoes pass into other portion. On one side a round opening with black cloth sleeve and on other side a sliding window with drop closure provided in centre. Size 45x30x30cm. We are occupied in offering a wide series of Large Mouse Cages that are made using the excellent quality material and progressive technology. 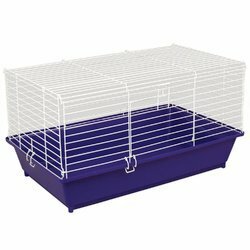 Mice Cage available in Polypropylene/Polycarbonate material. With Stainless Steel Top Grill with Flap Cover. Cages made from polypropylene material resistance to autoclave upto 1210C along with Stainless Steel .